Skiboard was the original name of these short skis until Salomon came along and marketed their brand as snow blades. Now they go by both names. Snow blades have made sliding down a hill fun for lots of people. Snow blades cost less than skis and are easier to turn and carry. Students have learned to ski much quicker using snow blades or skiboards. Most snow blades are 99 cm long or less – almost half the length of a pair of skis. The shortest ones are 75 cm long and if you get them on edge, they will carve like ice skates. Wider snow blades will float better in powder and Spring snow. Narrow ones move quicker from edge to edge. Snow blade bindings vary from non-release to ski-type release bindings. We use a track binding on most snow blade setups with release bindings. Track bindings are easy to set up for a wide range of foot sizes. The newest concept is putting snowboard bindings on snow blades because snowboard boots are very comfortable. Snowboard bindings work best on the wider models. Adding a riser under a snowboard binding makes it easier to use both edges. Skis are longer, usually about chest- to head-height. 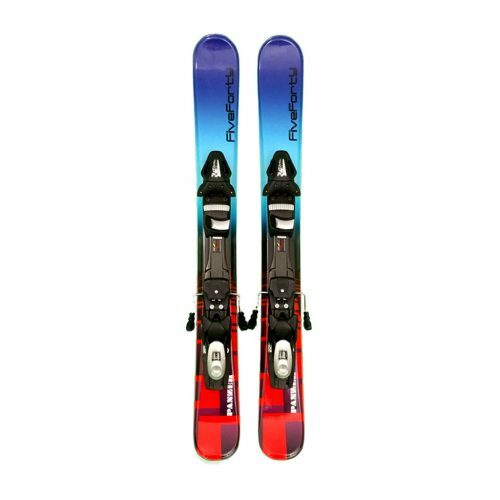 Most skis have release bindings except for some Telemark skis. Skis will be more stable at higher speeds but are more difficult to turn because they are longer. Wide skis will float better in powder because they have more surface area. Both snow blades and skis are a lot of fun, but snow blades are easier to learn on. Whatever equipment you choose, taking a lesson will help you learn more quickly and safely. Wearing a helmet is strongly recommended, and most skiers wear them nowadays. For small children, we recommend very short skis with release bindings.